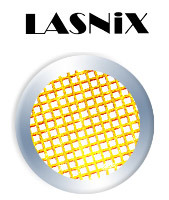 A Sept. 1984 Lasers & Applications report describes the innovative diffraction principle of the LASNIX CO2 laser attenuator. A 1986 SPIE article Precision broadband far-infrared attenuator demonstrates a decade-bandwidth performance. A 1987 Lasers & Optronics report describes a linearity study, based on using a Mod. 305 attenuator to handle a 5kW beam from a Trumpf CO2 laser. A 1997 SPIE paper introduces polarization assessment of infrared beams and gives application examples, e.g. to fine-tune circular polarization of a multi-kW CO2 laser beam.